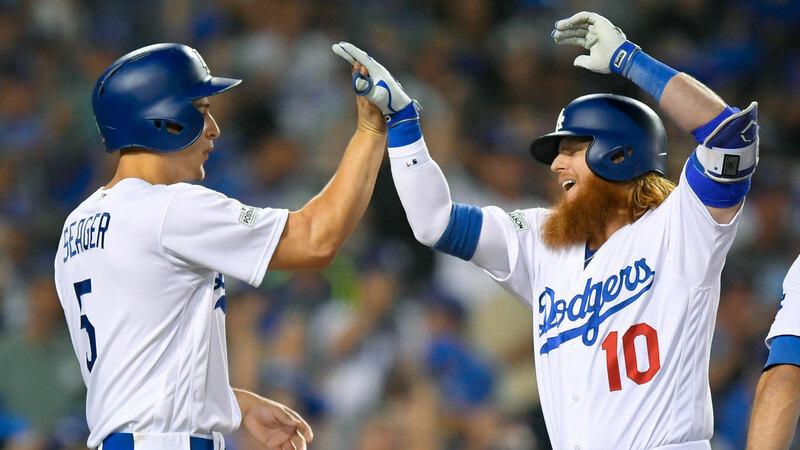 LOS ANGELES (KABC) -- The Los Angeles Dodgers bested the Arizona Diamondbacks 9-5 in Game 1 of the National League Division Series at Dodger Stadium Friday night. Before the game started, fans packed Dodger Stadium as the team started its postseason run. Fans expectations were high since the Dodgers have the best record in baseball this season. Many fans said they believe this is the season the Dodgers will head off to the World Series and win, a feat which hasn't been done since 1988. "Just a lot of fun games this year. A lot of comebacks. Just everyone's been good this year, and I think this is the year," one fan said. Los Angeles Dodgers fans packed Dodger Stadium as the first night of post-season playoffs began. Most of the fans that spoke with Eyewitness News said they had faith in star pitcher Clayton Kershaw. Kershaw, who is 2-0 against the Diamondbacks this season, said he knows the team well and they know him well. "There's no secrets, for sure. I think when it comes down to it, you just go out there and try and compete, just be better than them. You're not going to outthink them, you're not going to out this-or-that. They know what you do, I know what they do," he said. "At the end of the day, you've just got to go out there and execute and compete." Diamondbacks first baseman Paul Goldschmidt shared similar sentiments about the Dodgers. "It's going to be a great challenge," he said. "They've got great pitching, great hitting, defense, base running - they do it all. So our plan is just to go out there and play hard, scratch and claw for everything we can do and try to get some wins." The five-game series will continue Saturday at 6 p.m. with Game 2 at Dodger Stadium.